Anna is in Anchorage, Alaska this week for the 31st Wakefield Symposium on the "Impacts of a Changing Environment on the Dynamics of High-latitude Fish and Fisheries". 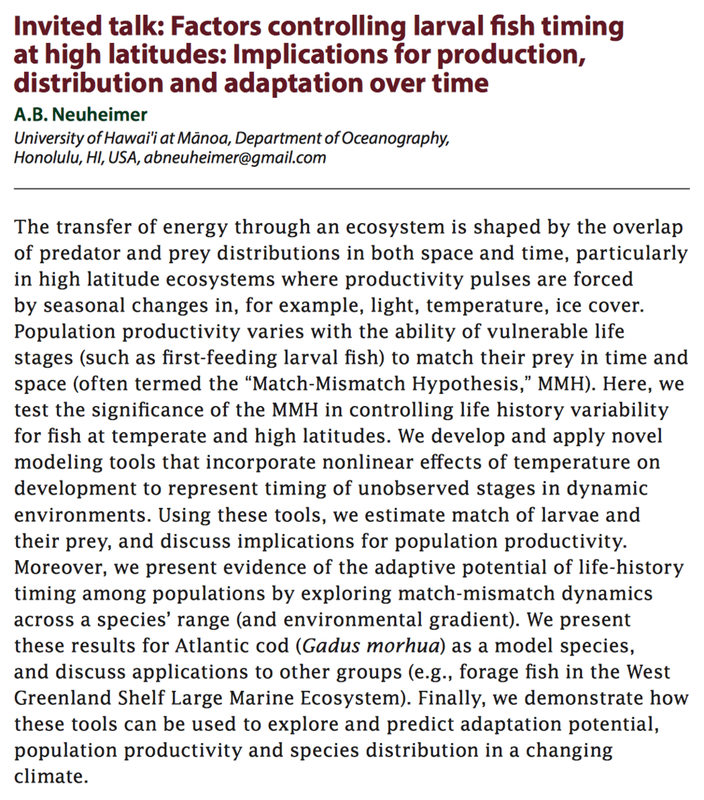 Anna will be presenting on Tuesday 9 May from 9:30-10:00am in Session 1: ENVIRONMENTAL IMPACTS ON SUBARCTIC AND ARCTIC ECOSYSTEMS: SPECIES-SPECIFIC RESPONSES (abstract below). Posted on May 8, 2017 by Anna Neuheimer.